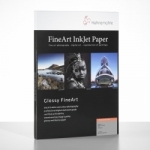 Founded in 1584 Hahnemühle is the oldest German paper-maker, manufacturing paper for traditional and digital artists as well as industrial papers. Only a few companies can proudly look back on such a long, uninterrupted tradition. 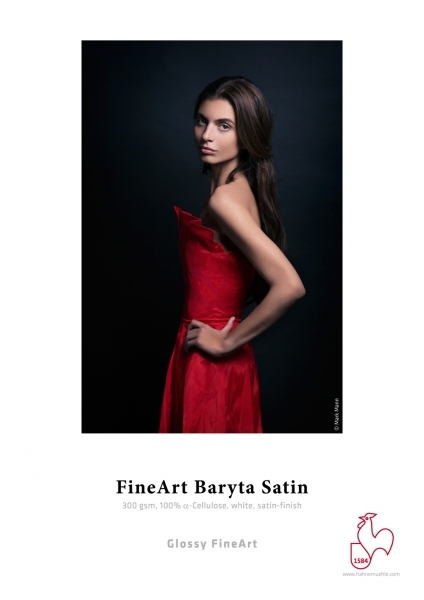 FineArt Baryta Satin 300gsm is a baryta paper with a white, satin-gloss surface. The amount of barium sulfate in the coating in conjunction with a microporous ink-receiving layer provides exceptional image results with large color space and intensive coloring. FineArt Baryta Satin enables extremely deep blacks (D-max), excellent image sharpness and is perfect for black-and-white prints. 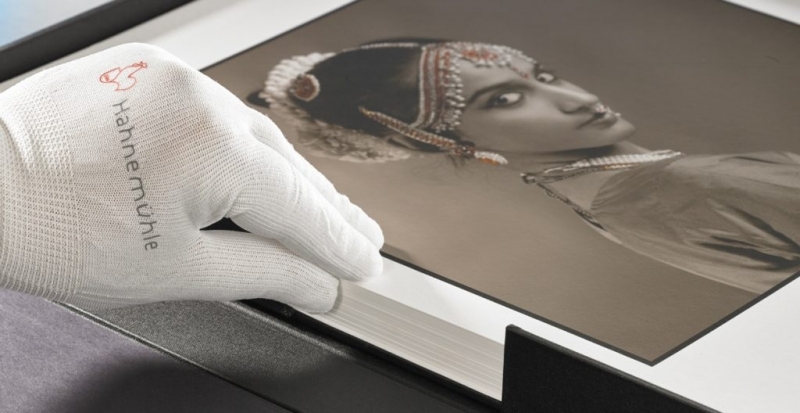 This special edition comes in an elegant portfolio box with a refined linen look, well suited for high quality presentation and storing of your Fine-Art prints. The black portfolio box is produced from acid-free, archival materials according to the requirements of the "Photographic Activity Test" (PAT). The fine textured cover material consists of 100% cotton and is refined through an environmentally friendly acrylic coating which results in a durable and strong surface. Includes 50 sheets of FineArt Inkjet paper in A3+ / 13 x 19". Every box comes with 50 interleaving sheets made of acid-free glassine paper to protect your prints from scratches and abrasion, as well as three Certificates of Authenticity with holograms and one pair of Hahnemühle gloves.